Keep your eyes on the landscape instead of the pavement by leaving the driving to someone else. 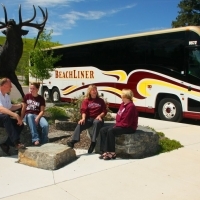 Take a bus to Western Montana and/or tour the region with a charter service. Some of our charming communities also offer public transportation around town. 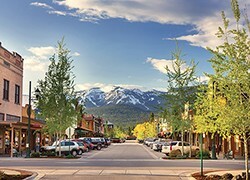 Climb aboard a Greyhound or Jefferson bus line to Western Montana. 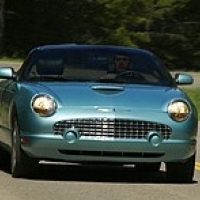 For group charter transportation services throughout the region, contact Beach Transportation, based out of Missoula. These charters are perfect for sightseeing tours, weddings, family reunions, meetings and conventions, etc. If you’re looking to get around some of our small towns using public transportation, try Flathead County’s Eagle Transit or Missoula’s Mountain Line zero-fare bus system. Take a ride back in time while you view the sites of Glacier National Park in style on one of the historic red buses. These vintage motor coaches, built by the White Motor Company, travel over the Going-to-the-Sun Road and link all of the hotels and inns within the park. These bright red coaches have roll-back canvas tops, which allow for spectacular views. 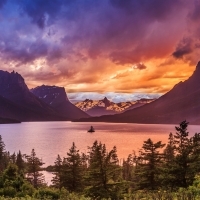 For more information, visit glaciernationalparklodges.com. These air-conditioned, 25-passenger coaches offer comprehensive interpretive tours through Blackfeet Country in Glacier National Park, including the Going-to-the-Sun Road. Daily, private and group tours are available. For more information, visit nps.gov. 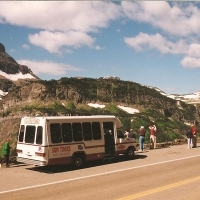 Park visitors are able to access many destinations along the Going-to-the-Sun Road and enjoy the spectacular scenery by riding on one of the park's optional and environmentally-friendly shuttle buses in both directions between Apgar Visitor Center and St. Mary Visitor Center. The shuttle system was established to offer a travel option for visitors to avoid traffic and parking problems associated with rehabilitation of the Going-to-the-Sun Road, and to offer an alternative to driving for park users. For more information, including dates of operation, visit nps.gov. Contact Rocky Mountain Transportation for more information on charter services in the area.